Now, everything seem to work but my vm hangs on booting time after I was typing the nova boot command. Then, I check my /var/lib/nova/instances/855d5b08-ccd0-4d95-bce8-8a2e9ed130eb/disk but the disk size always stay 200k and did not getting large. please kindly give me a advice how to resolve it. thanks. Looks like an unbootable image. The BIOS doesn't find anything to boot on disk and tries PXE. What image are you booting from? Does it have the correct disk format in Glance? I got the same Error :-/ ,Any idea? I faced the same issue in Newton release. The compute is running in rhel7.2 vm. Check the version of seabios-bin rpm. seabios-bin 1.9.1-5.el7_3.1 package is having some issue. Downgraded it into seabios-bin-1.7.2.2-12.el7 and the issue resolved. 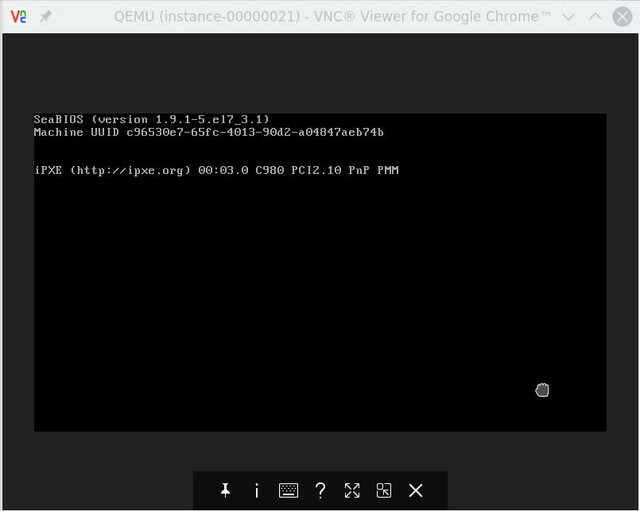 If you are using old Qemu 1.5, you may try to update to qemu 2.6.